A slim groove on one side of the case parallel to the card holder has just enough room for you to partially insert a credit card, creating a kickstand. The Wallet slayer rubber casing has rounded cushioned corners, textured sides (for a good grip), and integrated button covers that let you efficiently manipulate the cell phone controls. The cut-out for the camera lens/es provides a wide berth to avoid vignetting. Our cellphones are such gung-ho multitaskers, always up for another task, a new app, the screen a constant font of notifications and warnings. (Battery low! Charge me!). But what about the back of the phone — that blank do-nothing? Enter the protective wallet case, which not only has the cell’s back but puts that back to work, holding credit cards, IDs, and cash. The sleek Silk Wallet Slayer Vol. 2 snap-on Cell Phone Card Case boasts a powerful advantage over many bulkier competitors. Its ultra-slim design enables wireless charging even when the sewn-in faux leather pouch is loaded with up to three cards and some bills. The Wallet Slayer has another useful trick up — or, rather, in — its sleeve. 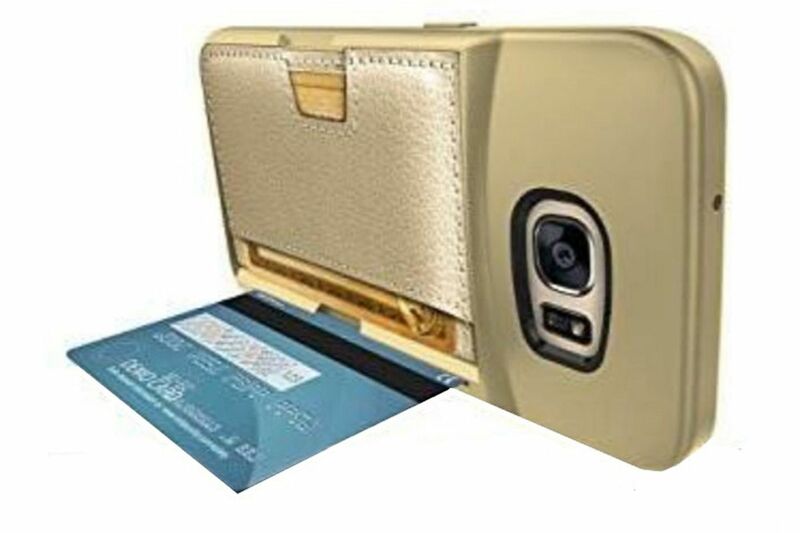 A slim groove on one side of the case parallel to the card holder has just enough room for you to partially insert a credit card, creating — abracadabra — a kickstand (an advance over the Wallet Slayer Vol. 1 model). The rubber casing has rounded cushioned corners, textured sides for a good grip, and integrated button covers that let you efficiently manipulate the cellphone controls. The cut-out for the camera lenses provides a wide berth to avoid vignetting. The Wallet Slayer comes in four colors. A plastic screen protector also is included. The Wallet Slayer Vol. 2 works with the newest iPhones (and older models dating to the 5 and 5/S series), and with newer Samsung Galaxy S series phones, with more updates on the way. The slightly bulkier Vol. 1 model (without the kickstand feature) also supports wireless charging. Silk Wallet Slayer Vol. 2 Cell Phone Card Case is about $25 and Vol.1 about $15; at silksmartish.com.